This article originally appeared in Real Clear Policy on January 21, 2019. A recent report from the Federal Communications Commission (FCC) shows that the removal of Title II regulations — or net neutrality — in 2017 helped boost the growth of broadband and close the digital divide. In what FCC Chairman Ajit Pai called "a stunning drop," the number of Americans lacking access to fixed terrestrial broadband service of 100 megabits per second download and 10 Mbps upload plummeted 56 percent — from 78.9 million to 34.8 million. Those lacking access to the minimum broadband standard of 25/3 Mbps decreased from 24.8 million to 19.4 million. "In other words, the digital divide is closing," Pai wrote. Meanwhile, competition is increasing. The report also points out that the number of Americans who have at least two wired broadband providers offering 100/10 Mbps competing for their business rose from 26 percent to 54.5 percent. Pai also noted that wireless providers increased their capital investment in 2017 while prices went down an average of 11 percent. While Title II regulations weren’t removed until June 2018 when the order was finalized, Pai made it clear after taking the chairman’s post in January 2017 that we would reverse former chairman Tom Wheeler’s 2015 move to establish the regulations. The report shows that the market responded. Roslyn Layton of the American Enterprise Institute pointed out this past Decemberthat a year after that decision the internet is humming right along. She pointed out that the FCC actually "added cops to beat," restoring power to the Federal Trade Commission (FTC) to police the internet. Layton wrote that while the FTC oversaw the internet from 1996 to 2015, the web "experienced massive growth and success." The FTC took 500 actions against internet service providers during that time and fined one ISP $100 million for transparency violations in 2014, she noted. 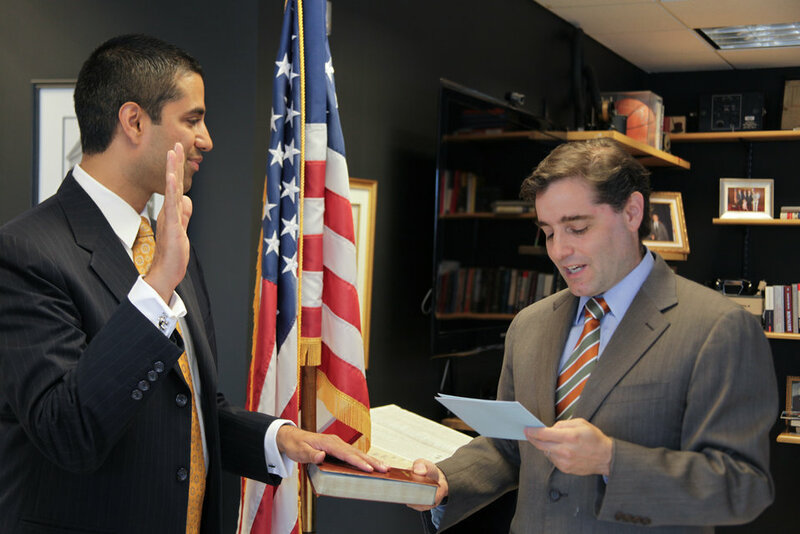 Pai and the FCC look ahead to a 2019 in which internet growth keeps going. "As we head into 2019, we are on the right track, and we aim to keep these positive trends going," Pai wrote. "We will continue to close the digital divide and bring better, faster, cheaper broadband to all Americans by continuing to eliminate barriers to infrastructure investment and broadband deployment and promoting innovation."